Loaded with flavor for just $8, the Figaro Tinto Garnacha from the Calatayud, Spain. 100% Garnacha from the Calatayud, Spain. The wine spends just a few months in oak barrels. Sample submitted for review. The Figaro Tinto Calatayud Garnacha from Bodega Nino Jesus has an SRP of $10 and is available for as low as $8. Imported by Kysela Pere et Fils. Figaro is 100% Garnacha, made from a selection of the best grapes grown in the oldest vineyards. While not truly an “oaked wine”, a short stay in oak barrels provides a nice spicy flavor boost. We have often touted the value to be found in Spanish Garnacha and we will continue to do that as long as we continue to find wines like this one. Today’s pick hails from the Calatayud, which is in our opinion one of the premier spots for these old vine wines. 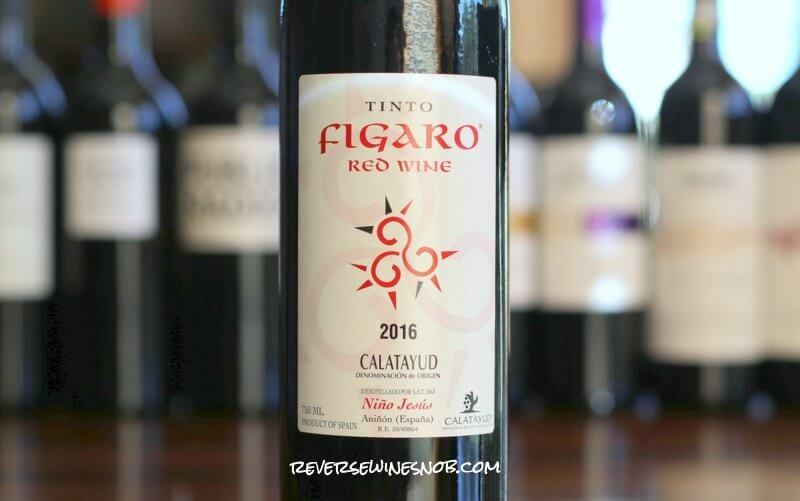 The 2016 Figaro Tinto Calatayud Garnacha opens with a pleasing aroma of black cherry, apple, spice, violets and licorice. Tasting the wine reveals lots of juicy, fleshy fruit combined with excellent spice notes and a pleasant earthy streak. Smooth, tasty and easy to drink, this medium-bodied wine also features hints of chocolate and dried herbs. The fruit turns a bit tart on the long, dry finish of lingering spice. This one offers a whole lot of flavor for just $8! See a listing of local retailers selling the Figaro Tinto Calatayud Garnacha here.